Synaptive Medical Inc., a medical device and technology company, is pleased to announce that North Shore University Hospital, a member of Northwell Health, is the first center on Long Island to acquire the BrightMatter technology, an innovative solution of advanced imaging, planning, navigation, and robotics for complex brain tumor and spinal surgery. BrightMatter provides neurosurgeons with the latest advancements in visualization tools to perform minimally-invasive, patient-specific procedures. 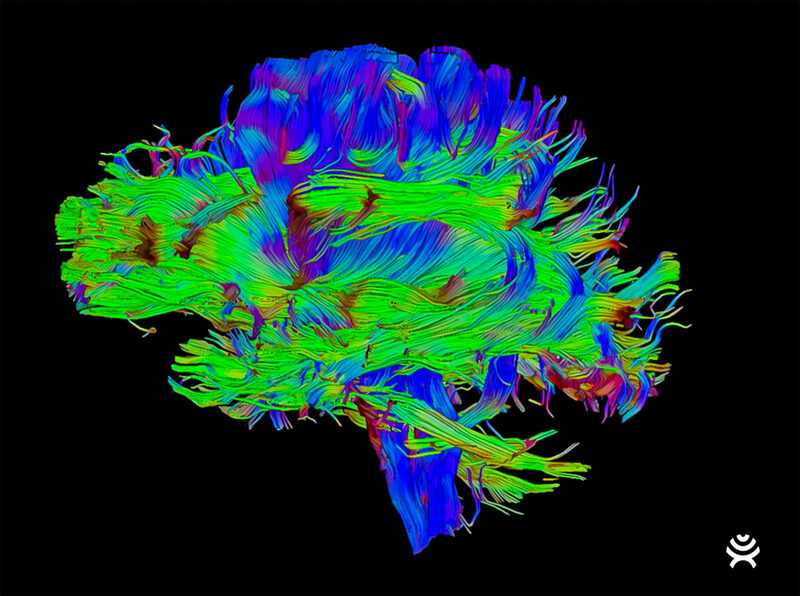 Using an imaging method called diffusion tensor imaging, or DTI, BrightMatter uses tractography to automatically enhance MRI images of the entire brain’s pathways, allowing surgeons to see structures that can’t be seen with the naked eye and consider approaches for optimal navigation. This functionality may allow access to brain locations previously deemed inoperable. With this information, surgeons can use Synaptive’s high-powered magnification system to view patient anatomy. This optical visualization system, mounted on a robotic arm, follows the surgeon’s tools and shows patient anatomy in unprecedented detail. BrightMatter allows for better surgical ergonomics, facilitates collaboration with operating room staff, and consumes less surgical time without the need to manipulate cumbersome optics. Northwell Health is New York State’s largest health care provider and private employer, with 21 hospitals and over 550 outpatient facilities. We care for more than two million people annually in the metro New York area and beyond, thanks to philanthropic support from our communities. Our 61,000 employees – 15,000+ nurses and nearly 3,400 physicians, including nearly 2,700 members of Northwell Health Physician Partners — are working to change health care for the better. We’re making breakthroughs in medicine at the Feinstein Institute. We’re training the next generation of medical professionals at the visionary Hofstra Northwell School of Medicine and the School of Graduate Nursing and Physician Assistant Studies. And we offer health insurance through CareConnect. For information on our more than 100 medical specialties, visit Northwell.edu. Donald Trump’s election combined with continued Republican control of Congress creates uncertainty for the U.S. health care economy that has no recent parallel. Digital health companies and digital health investors are undeterred. Many push forward by focusing on long-standing patient needs and efficiency challenges that any administration will need to tackle. • Health insurance: Trump would completely repeal the ACA including the mandate for individuals to have insurance coverage and for insurers to cover them regardless of pre-existing conditions. Instead, he would create high risk pools for individuals with expensive pre-existing conditions, and, in lieu of premium tax credits, Trump would provide a tax deduction for the purchase of individual health insurance. He would seek to keep individuals’ costs down by allowing insurers to sell plans across state lines, increasing competition which should reduce premiums, and by increasing use of tax-advantaged Health Savings Accounts (HSAs) which incent consumers to shop for the best prices for healthcare. ENGLEWOOD, Colo., Jan. 30, 2017 /PRNewswire/ — Since its inception, Paragon 28 has obsessed over every aspect of foot and ankle surgery. Committed to creating tailored solutions to improve surgical outcomes, Paragon 28 has launched innovative products and instrumentation that help to streamline procedures, allow surgeons flexibility in technique and approach, and facilitate reproducible results benefitting both the surgeon and patient. With extremely positive clinical results at the six-month juncture from its early safety and feasibility study in Malaysia, Intralink-Spine, Inc. (ILS) confirms that the Réjuve™ System is now poised to begin its multi-site pivotal study beginning with sites in Southeast Asia. “About 80 percent of the adults in the U.S. experience significant back pain at some point in their life and most back pain sufferers find no relief. In fact, low back pain (LBP) is a challenging condition to treat, which is why we’re excited about our data thus far and another reason we’re eager to begin our multi-site study,” states Hawkins. Neurosurgeon Aria Sabit, MD, received a 235-month prison sentence today for fraud, as reported by Medscape. 1. Dr. Sabit possesses a significant criminal history, dating back to 2010. While practicing at Ventura, Calif.-based Community Memorial Hospital, Dr. Sabit “invested $5,000 in a physician-owned distributorship of screws, plates, rods and other pieces of spinal instrumentation,” according to Medscape. He earned profits from the POD, called Apex Medical Technologies, and urged his hospital to use the equipment. 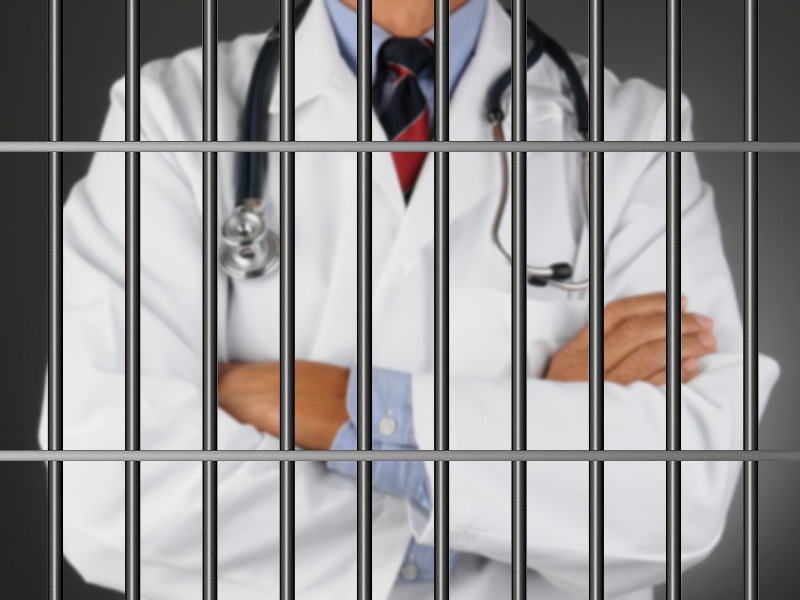 Dr. Sabit performed numerous “unnecessary surgeries,” receiving illegal kickbacks. 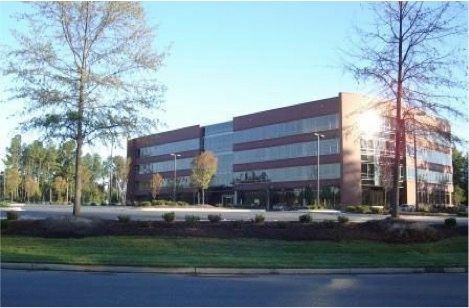 Court documents revealed the Apex Medical Technologies illegal kickbacks totaled $440,000. 2. As a result of these unnecessary surgeries, about 30 of Dr. Sabit’s patients sued him for malpractice. Community Memorial Hospital cut ties with Dr. Sabit in December 2010 to protect patients. 3. With a California career in the rearview, Dr. Sabit took his practice to Detroit. His fraudulent ways were far from over, however. He convinced patients to receive spinal fusions with metal instrumentation, but “subsequent diagnostic imaging revealed that he never installed the hardware, just bone dowels, and never achieved fusion,” according to Medscape. IRVING, Texas–(BUSINESS WIRE)–According to Vizient’s post-election survey of member hospital C-suite and hospital pharmacy executives, more than 90 percent are in favor of keeping the protections afforded to patients with preexisting conditions currently included in the Affordable Care Act (ACA). A top concern for the future is lower reimbursements, followed by fewer insured/covered patients. Vizient, Inc., the nation’s largest member-driven health care performance improvement company, conducted the survey to understand how its member hospitals are reacting to proposed changes by the new Administration to the ACA. The survey also asked executives about their top concerns for the future and their priorities for 2017. The survey was conducted online, with the results based on responses from 222 health care C-suite leaders (CEO, COO, CFO, CMO, CNO, CIO) and hospital pharmacy executives between Dec. 1—14, 2016. Vizient, Inc., the largest member-driven health care performance improvement company in the country, provides innovative data-driven solutions, expertise and collaborative opportunities that lead to improved patient outcomes and lower costs. Vizient’s diverse membership and customer base includes academic medical centers, pediatric facilities, community hospitals, integrated health delivery networks and non-acute health care providers and represents almost $100 billion in annual purchasing volume. The Vizient brand identity represents the integration of VHA Inc., University HealthSystem Consortium and Novation, which combined in 2015, as well as the recently acquired MedAssets’ Spend and Clinical Resource Management (SCM) segment, which includes Sg2. In 2016, Vizient received a World’s Most Ethical Company designation from the Ethisphere Institute. Vizient’s headquarters are in Irving, Texas, with locations in Chicago and other cities across the United States. Please visit www.vizientinc.com as well as our newsroom, blog, Twitter,LinkedIn and YouTube pages for more information about the company. DURHAM, N.C.–(BUSINESS WIRE)–Bioventus, a global leader in orthobiologics, today announced the dates of its 2017 Advances in Bone Healing Science Summits. Taking place on April 28 at the Grand Hyatt Denver in Denver, CO, on April 28 at the Novotel Schiphol Airport in Amsterdam, and on May 19 at the Westin Fort Lauderdale in Ft. Lauderdale, FL, these programs are geared toward geared towards practitioners who regularly treat fractures and patients with knee osteoarthritis (OA). Each one-day course is developed to allow participants a better understanding of treatment methods and the underlying biologic science through didactic presentations and in-depth case study discussions. In 2017, Bioventus is also underwriting medical education programs at the American College of Foot and Ankle Surgeons 75th Anniversary Scientific Conference taking place February 27- March 2 in Las Vegas and the Physician Assistants in Orthopaedic Surgery 18th Annual Conference occurring August 21-25 in Baltimore. In addition, Bioventus has launched several new web-based training courses on www.BioventusAcademy.com. Bioventus Academy is the company’s online medical education platform that provides clinicians with access to in-depth clinical and scientific information on bone healing, bone grafts and OA. The courses are titled: Bone Graft Substitutes, Bone Marrow Aspirate, EXOGEN® & Bone Healing, and DUROLANE® and Early OA Treatment Options. Bioventus is an orthobiologics company that delivers clinically proven, cost-effective products that help people heal quickly and safely. Its mission is to make a difference by helping patients resume and enjoy active lives. Bioventus has two product portfolios for orthobiologics, Bioventus Active Healing Therapies and Bioventus Surgical that make it a global leader in active orthopaedic healing. Its EXOGEN Ultrasound Bone Healing System is the #1 prescribed bone healing system in the US and is the only FDA-approved bone healing device that uses safe, effective ultrasound to stimulate the body’s natural healing process. Built on a commitment to high quality standards, evidence-based medicine and strong ethical behavior, Bioventus is a trusted partner for physicians worldwide. Bioventus, the Bioventus logo, DUROLANE and EXOGEN are registered trademarks of Bioventus LLC. 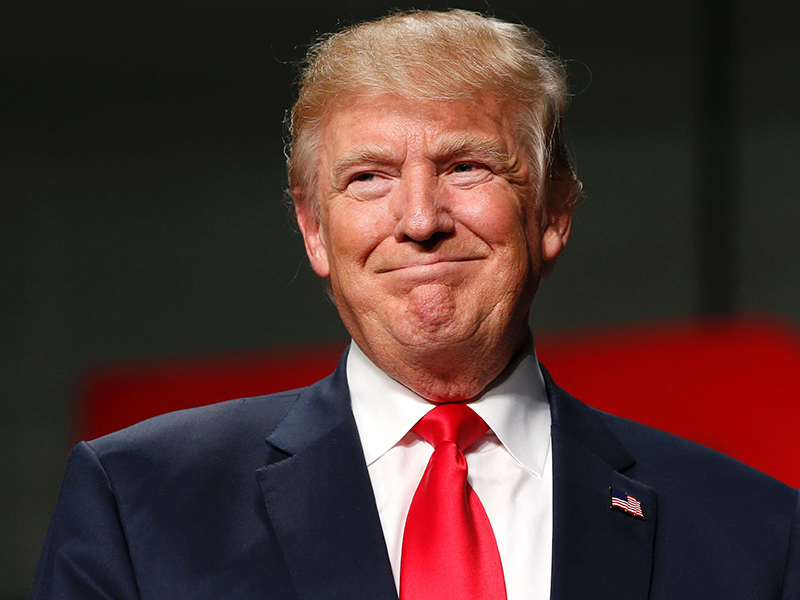 WASHINGTON (Reuters) – President Donald Trump signed an order on Monday that will seek to dramatically pare back federal regulations by requiring agencies to cut two existing regulations for every new rule introduced. “This will be the biggest such act that our country has ever seen. 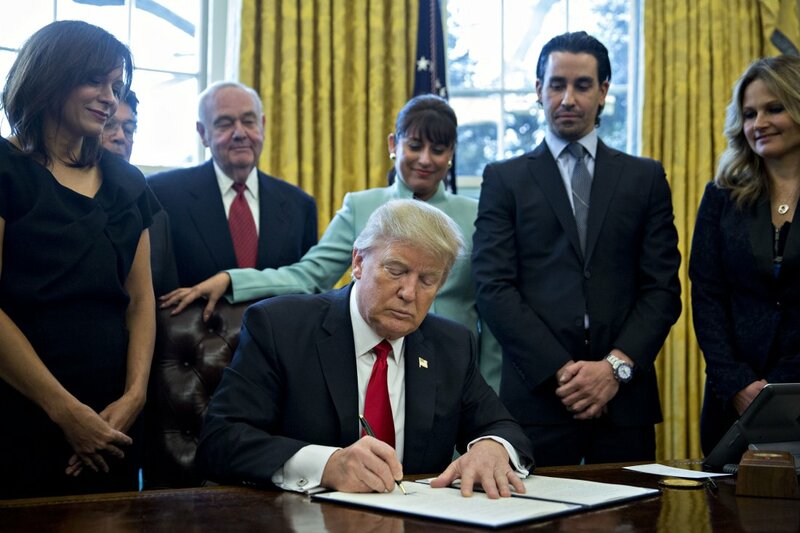 There will be regulation, there will be control, but it will be normalized control,” Trump said as he signed the order in the Oval Office, surrounded by a group of small business owners. Trump’s latest executive action will prepare a process for the White House to set an annual cap on the cost of new regulations, a senior official told reporters ahead of the signing. Dublin, Jan. 26, 2017 (GLOBE NEWSWIRE) — Research and Markets has announced the addition of the “Foot and Ankle Devices Market Analysis & Trends – Product (Prostheses, Bracing and Support Devices and Orthopedic Implants and Devices ), Cause of Injury (Neurological Disorders, Trauma and Diabetes) – Forecast to 2025” report to their offering. The Global Foot and Ankle Devices Market is poised to grow at a CAGR of around 7.9% over the next decade to reach approximately $7.82 billion by 2025. Some of the prominent trends that the market is witnessing include increasing numerous sports injuries, growing geriatric population worldwide and increasing new product launches. Based on product the market is categorized into prostheses, bracing and support devices and orthopedic implants and devices. Prostheses segment is further segmented into Microprocessor-Controlled (MPC) prostheses, Solid Ankle Cushion Heel (SACH) foot, multiaxial prostheses, single-axial prostheses, dynamic response/energy-storing prostheses. Bracing and support devices are further segregated into hinged braces and soft bracing. Orthopedic implants and devices segment is further classified into soft-tissue orthopedic devices, joint implants and fixation devices. Depending on the cause of injury the market is segmented by neurological disorders, trauma, diabetes and other causes. This industry report analyzes the global markets for Foot and Ankle Devices across all the given segments on global as well as regional levels presented in the research scope. The study provides historical market data for 2013, 2014 revenue estimations are presented for 2015 and forecasts from 2016 till 2025. 7.6 Smith & Nephew PLC. 7.9 Wright Medical Technology, Inc.
7.10 Zimmer Biomet Holdings, Inc.
Toulouse (France), January 30th, 2017 (8:30AM CET) –VEXIM (FR0011072602 – ALVXM / PEA-PME eligible), a medical device company specializing in the minimally invasive treatment of vertebral fractures, will announce its 2016 Full-Year Results on Wednesday, 22 March, 2017 – before the market opening. Based in Balma, near Toulouse (France), VEXIM is a medical device company created in February 2006. The company has specialized in the creation and marketing of minimally-invasive solutions for treating traumatic spinal pathologies. Benefitting from the financial support of it longstanding shareholder, Truffle Capital and from BPI public subsidies, VEXIM has designed and developed the SpineJack®, a unique implant capable of repairing a fractured vertebra and restoring the balance of the spinal column. 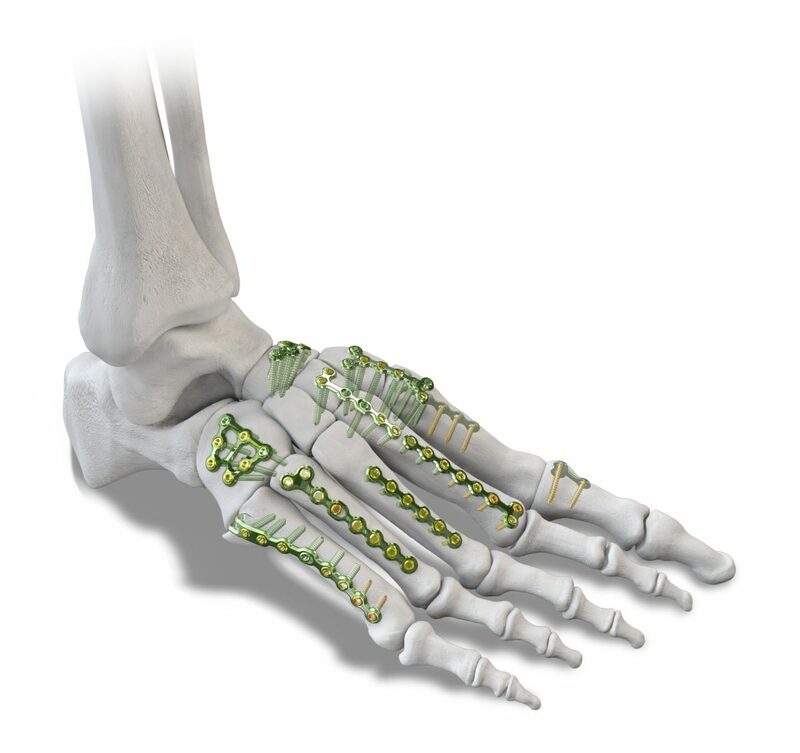 The company also developed the MasterflowTM, an innovative solution for mixing and injecting orthopedic cement that enhances the accuracy of the injection and optimizes the overall surgical procedure. The company counts 66 employees, including its own sales teams in Europe and a network of international distributors. The revolutionary aspect of the SpineJack® lies in its ability to restore a fractured vertebra to its original shape, restore the spinal column’s optimal anatomy and thus remove pain and enable the patient to recover their functional capabilities. Thanks to a specialized range of instruments, inserting the implants into the vertebra is carried out by minimally-invasive surgery, guided by X-ray, in approximately 30 minutes, enabling the patient to be discharged shortly after surgery. The SpineJack® range consists of 3 titanium implants with 3 different diameters, thus covering 95% of vertebral fractures and all patient morphologies. SpineJack® technology benefits from the support of international scientific experts in the field of spinal surgery and worldwide patent protection through to 2029. The MasterflowTM is an innovative solution for mixing and injecting orthopedic cement that enhances the accuracy of the injection and optimizes the overall surgical procedure for treating vertebral compression fractures. The device provides a better control of the injection of biomaterials into the spine. A complement of the SpineJack®, the MasterflowTM stands out for being both easy to use and precise, particularly in its ability to stop the cement delivery instantly without inertia. The MasterflowTM contributes to reducing pain in patients. Its first sales were recorded in the U.S. in February 2015, and the system has also received the CE marking in February 2015, a mandatory conformity mark for products marketed in Europe.